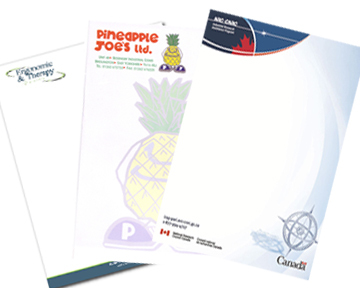 Letterheads are the foundation of your professional business identity. When paired with matching custom printed business cards, envelopes and note pads, you’ve got a complete corporate image! We can print your letterhead in full color on BOTH sides of the premium, laser-safe paper stock – there are no limits to your design possibilities!